(1) (2018) 169 - 178. 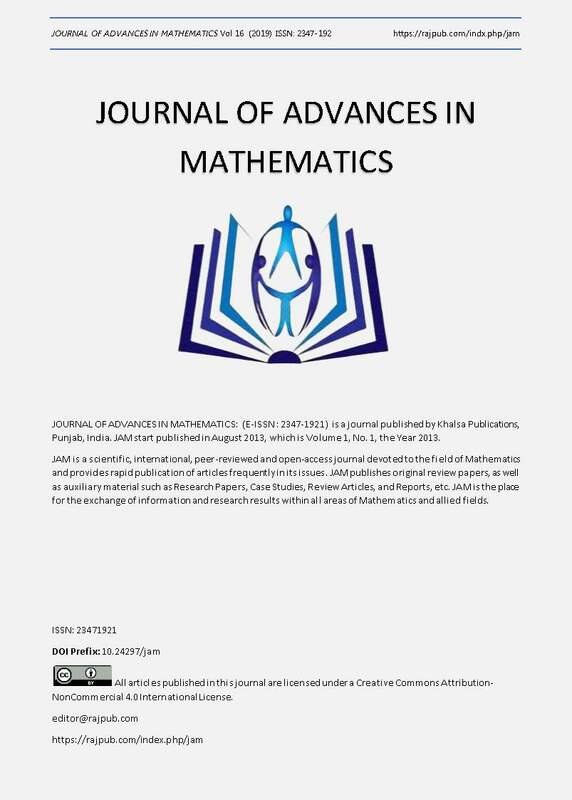 H. Aktas, N. Cagman: Soft sets and soft groups, Information Sciences 1(77) (2007) 2726-2735.
International Journal of Mathematics Trends and Technology 9(1) (2014) 37-56. Information Sciences 7(2) (2013) 1889-1901. Sets and Systems 21 (1987) 1-17. S. Hussain, B. Ahmad : Some Properties of Soft Topological Spaces, Computers and Mathematics with Applications 62 (2011) 4058-4067. B. M. Ittanagi: Soft Bitopological Spaces, International Journal of Computer Applications 107(7) (2014) 1-4. Y. B. Jun: Soft BCK/BCI-algebras, Computers and Mathematics with Applications 56 (2008) 1408-1413. Y. B. Jun, H. S. Kim, J. Neggers: Pseudo d-algebras, Information Sciences 179 (2009) 1751-1759. Y. B. Jun, K. J. Lee, A. Khan: Soft ordered semigroups, Mathematical Logic Quarterly 56(1) (2010) 42-50. Applied Mathematics Informatics 26(3-4) (2008) 707-720.
with Applications 57 (2009) 367-378. Y. B. Jun, K. J. Lee, C. H. Park: Fuzzy soft set theory applied to BCK/BCI-algebras , Computers and Mathematics with Applications 59 (2010) 3180-3192. Mathematics with Applications 44 (2002) 1077-1083. P. K. Maji R. Biswas, R. Roy: Soft set theory, Computers and Mathematics with Applications 45 (2003) 555-562. D. Molodtsov: Soft set theory - rst results, Computers and Mathematics with Applications 37 (1999)19-31. Z. Pawlak: Rough sets, Int. J. Comput. Sci. 11 (1982) 341-356. D. Pie, D. Miao: From soft sets to information systems, Granular Computing, 2005 IEEE Inter. Conf. 2 , 617-621. M. Shabir, M. Naz: On Soft Topological Spaces, Computers and Mathematics with Applications 61 (2011) 1786-1799. Third International Conference, RSKT 2008, 17-19 May, Chengdu, China, pp. 403-409, 2008. L. A. Zadeh: Fuzzy sets, Information and Control 8 (1965) 338-353.